A public petition (n°1071) for a public health policy that effectively combats the implantation of tiger mosquitoes, vectors of diseases, in Luxembourg, has been introduced on 10th July 2018 and is open for signature until 19th September 2018 (Bomfim 2018). monitoring of the presence of tiger mosquitoes in cities, countryside and forests via traps (instrumentation used for example in Italian regions). Motivation of the general interest of the petition: The tiger mosquito is a vector of diseases such as dengue, Nile fever and chikungunya. If the invasion of mosquitoes is not controlled, the importation of these diseases will become an additional burden for health services, in days off work and school absence, not to mention a great disturbance for the population and a devaluation of the country’s rural areas. Bomfim, JAS, 2018. Pétition publique n°1071 – Pour une politique de santé publique qui combatte effectivement l’implantation des moustiques tigres, vecteurs de maladies, au Luxembourg. URL: https://chd.lu/wps/portal/public/Accueil/TravailALaChambre/Petitions/RoleDesPetitions?action=doPetitionDetail&id=1274 [08/08/2018]. 3 female imago of Aedes japonicus (Theobald, 1901) have been captured on 4th July 2018 in Stolzembourg in the valley of the Our (Oesling). Field prospection on 1st and 2nd August showed the East Asian bush mosquito is also present in Bivels, Vianden, Wahlhausen and Gemünd (D). Further investigations will be undertaken in August to assess the geographical distribution of the species in Luxembourg. Aedes japonicus is a mosquito species originally native to Japan, Korea and southern China, and is important for humans as a potential vector of pathogens such as the West Nile virus and of various types of encephalitis viruses. The species is already established in the Province of Namur (Belgium), in North Rhine-Westphalia, Rhineland-Palatinate (Kreis Ahrweiler) and Hesse (Germany), and in Bas-Rhin, Haut-Rhin, Vosges (France). CIEI, 2013. Les moustiques : Des gestes simples pour éviter leur prolifération dans nos jardins. Cellule interdepartementale sur les espèces invasives (CIEI) du Service Public de Wallonie. Dépliant, 2p. Distribution map of Aedes japonicus (Theobald, 1901) in Luxembourg. Recorder database, MNHNL, 20.04.2019. 3 female imago of Aedes japonicus (Syn. : Hulecoeteomyia japonica) have been captured on 4th July 2018 in Stolzembourg, Oesling. Field prospection on 1st and 2nd August showed the East Asian bush mosquito is also present in Bivels, Vianden, Wahlhausen and Gemünd (D). 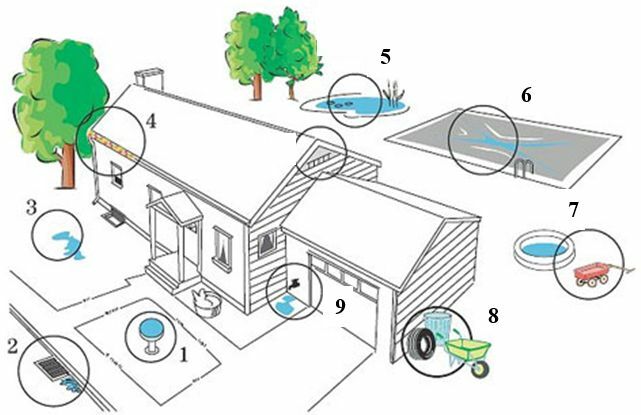 Further field studies in August and October 2018 revealed the presence of a large population of Aedes japonicus, detected in 16 sites distributed over 12 localities, 12 municipalities, 7 cantons and 3 districts. The colonised area can be estimated to date to cover at least 550 km2, located in the east of the Grand Duchy, from the valley of the Our in the north to Ernster in the south, and as far as Kautenbach and Ettelbruck in the west. 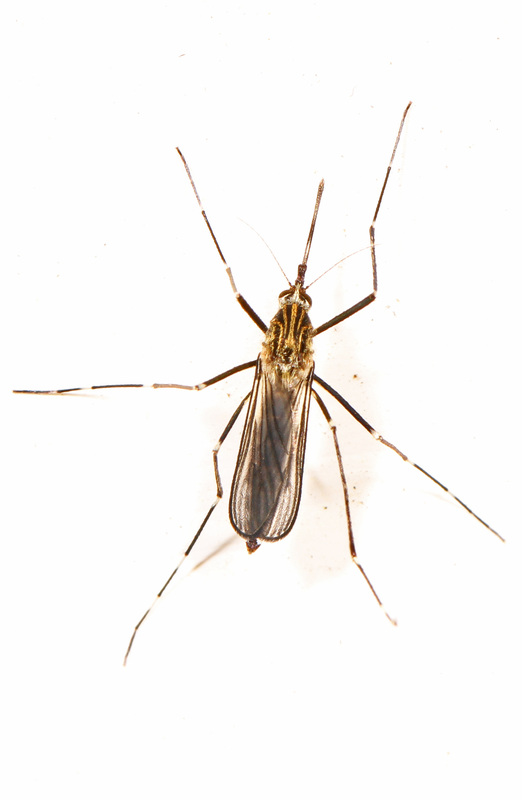 The mosquito was not detected in neighbouring Belgium (Clairefontaine and Ouren) but in Germany, where it has been present for several years in Rhineland-Palatinate and from where it has certainly migrated to the Grand Duchy. We also detected it in the French border town of Contz-les-Bains, which suggests that the mosquito is probably present, although not detected to date, in the region bordering the Moselle, from Manternach to the French border (Schaffner 2018). Distribution of the mosquito Aedes japonicus known as of 10 October 2018, for Luxembourg and the neighbouring regions of Germany, Belgium and France. Purple: proven presence; Purple with star: data from the German surveillance network; Green: undetected presence. Source: Schaffner 2018. The species is established in the Province of Namur (Belgium), in North Rhine-Westphalia, Rhineland-Palatinate and Hesse (Germany), and in Bas-Rhin, Haut-Rhin, Vosges (France). ISEIA protocol: C2 (3+2+2+1), assessment updated on 13 August 2018 by M. Pfeiffenschneider & C. Ries. Former assessment under it’s synonym Hulecoeteomyia japonica: C0 (2+1+1+1) (Ries et al. 2017: 68). Aedes japonicus was first reported in Europe in 2000 when it was detected in Normandy (Orne) in northern France, where it was later eliminated. It was then reported in 2002 in Belgium at a tyre depot and presence as adults and larvae was confirmed in 2007 and 2008. It was most likely introduced through the trade of tyres and the population was thought to be established at the company site but does not appear to be spreading. It was detected in Switzerland in 2008 following reports of a biting nuisance and subsequent surveys revealed a 1,400 km colonised zone including an area in Germany. 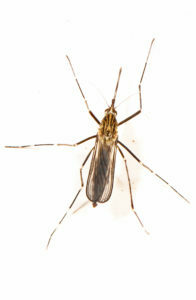 This was the first detection of invasive mosquitospreading in central Europe. No obvious route of introduction was identified in this study but it is suspected that the species has been present here for some time. Adult Ae. japonicus were then found in Southern Germany during 2011, following intensified surveillance. This resulted in surveillance expanding to cover the entire federal state of Baden-Württemberg where a reduction in the colonised areas compared to 2010 was reported (possibly due to a dry spring during 2011). However, a large, newly infested area was also reported from the city of Stuttgart to the Swabian Mountains. Entomological surveys carried out during 2012 in North Rhine-Westphalia also revealed the presence of an established population in the west of the country. Aedes japonicus were then reported further north in southern Lower Saxony and northeastern North Rhine-Westphalia during spring 2013. It was detected in 2012 and 2013 in Lelystad, the Netherlands. Source: European Centre for Disease Prevention and Control: The map shows the current known distribution of Aedes japonicus in Europe at at ‘regional’ administrative level (NUTS3), as of June 2018. It is suggested that Aedes japonicus may expand beyond its current geographical distribution but there is still a lack of information available on this invasive mosquito species. Schaffner, F. & C. Ries, [submitted, 2019]. First evidence and distribution of the invasive alien mosquito Aedes japonicus (Theobald, 1901) in Luxembourg. Bulletin de la Société des naturalistes luxembourgeois. Last updated on Thursday, January 31, 2019. The European Commission published today in the Official Journal the Delegated Regulation (EU) 2018/968 of 30 April 2018 supplementing Regulation (EU) No 1143/2014 of the European Parliament and of the Council with regard to risk assessments in relation to invasive alien species. Comunicated by the IAS team of the Environment Directorate-General of the European Commission. Last updated on Wednesday, July 11, 2018. Distribution map of Parthenocissus quinquefolia (L.) Planch. in Luxembourg. Recorder database, MNHNL, 20.04.2019. The Recorder database shows 7 observations in Luxembourg dating from 1958 to 2016 (18/01/2018). General note on Parthenocissus spp. Originally observed in man-made habitats, these popular garden plants can be found increasingly often in natural habitats like coastal dunes, riparian habitats and wood margins (Parthenocissus inserta) or rock outcrops (Parthenocissus quinquefolia). They usually thrive on nutrient-rich soils. Seeds are dispersed over long distances by birds. With its dense growth, the plant may cover, outcompete and kill native vegetation. Source: http://ias.biodiversity.be. ISEIA protocol: B1 (3+3+2+2), reassessed on 10 July 2018 by C. Ries and M. Pfeiffenschneider. Originally assessed together with Parthenocissus inserta as Parthenocissus spp. C1 (1+1+1+1) (Ries et al. 2013: 18). Distribution map of Parthenocissus inserta (Kerner) Fritsch in Luxembourg. Recorder database, MNHNL, 20.04.2019. The Recorder database shows 4 observations in Luxembourg since the 19th century to 2016 (10/07/2018). ISEIA protocol: B1 (3+3+2+2), reassessed on 10 July 2018 by C. Ries and M. Pfeiffenschneider. Originally assessed together with Parthenocissus quinquefolia as Parthenocissus spp. C1 (1+1+1+1) (Ries et al. 2013: 18). In the frame of the draft law n°7205 implementing the Regulation (EU) No 1143/2014 on IAS 1, the Luxembourg Parliament TV (Chamber-TV) explains the context in a movie published on facebook. → Link to the video in case your browser doesn’t show the movie on this page. Last updated on Thursday, May 17, 2018.